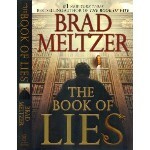 –Brad Meltzer, born this date in 1970. Writing prompt: Write a scene in which your protagonist causes pain to someone s/he cares about because of something your protag didn’t tell that person. This multi-verse limerick responds to several blog and poetry prompts, including this one. (Thanks!) It’s also for NaPoWriMo (National Poetry Writing Month) and the April A to Z Blogging Challenge.